The Craftsman 10 Inch Table Saw Model 113.27520 was one of the best table saws ever sold under the Sears Craftsman brand. It was manufactured by the Emerson Electric Co. for Sears and was sold during the late 1950's and 1060's. It was known as an industrial quality tool and of comparable quality to the Delta Contractors Saw. Many of these Craftsman 10 Inch Table Saw Model 113.27520 are still in use today and are coveted by Craftsman fans for their quality and durability. Greater Accuracy, Table Area, and Stability! Craftsman Industrial - This tool is designed and built for production work in industry -- with specifications to meet the demands of factories and shops. By far the finest bench saw we've ever sold! said the Sears Craftsman Tool Catalog in 1956. Easily meets the rigid requirements of large industrial shops. For outstanding quality, mechanically superior features, exceptional performance -- all in one saw... we're convinced this superb Craftsman tilting-arbor saw cannot be matched today at anywhere near this price. Had features found in no other bench saw! Work goes much faster, easier because only brief adjustments of accessories are necessary for the next step on your job. Increased working surface from blade to front of table; tilting arbor provides an always-level working surface; all hand-wheel controls are conveniently located for easy adjustment. Precision built... meets rigid industrial shop requirements. Massive, extra heavy duty construction! Extraordinary accuracy! More rigid saw base and stronger motor support, with pivot arm for smoother operation. Tension device between motor mounting plate and support reduces transmission of vibration and troublesome jumping of motor. Table never tilts... work always lies flat! No more holding lumber at an awkward, uncomfortable angle. Motor, blade and arbor tilt together as a unit, any angle up to 45 degrees' belt never twists. Blade raises and lowers to vary depth of cut form 0 to 3 3/8 inches. Sealed precision ball bearings; lubricated for life! Extra-large 27 x 20 inch heavy cast semi-steel table; precision ground; grovved on both sides of blade for miter gauge work. Wiping and cutting actions clean sawdust from tilt and lift screws... No more stiff and tight controls. Positive stops for blade height and tilt. Double-groove pulleys. Holes in fence for mounting facing boards for dadoing, etc. Working area in front of blade is 13 1/8 inches. Rip fence is usable on either side of blade clear to table edge. Single control lever locks fence at both ends, not just in the front. A 10 inch chisel toothed blade (5/8" bore) gives full 3 3/8 inch depth of cut. With blade, miter gauge, stop rods, rip fence rack, machine and motor pulleys, set of matched V-belts and motor mount. The guard assembly, motor, and pedestal tool stand were sold separately. Saw Guard Assembly. For use on Craftsman 10" Table Saw No. 113.27520. Automatic leveling guard tilts with blade; transparent plastic insert. Complete with guard, splitter, bracket, and non-kickback pawls. Overall dimensions... Height 12 12/16 in., width 23 3/4 in., length 33 1/4 in. The Vintage Delta Homecraft Jointer was a welcome addition to any shop. The Delta No. 34-500 8 inch Table Saw Jointer Combination machine offered a compact table saw jointer unit on one stand that used a single motor. The Vintage Delta Homecraft Shaper No. 43-110 performed all of the operations commonly done on larger more expensive shapers of its type. The Vintage Delta Homecraft drill press was one of the most versatile tools in the wood shop. It wasn't limited to just drilling holes. The Delta Homecraft Band Saw Model No. 28-110 was first introduced along with the Homecraft Power Tool line in 1949. This bid 10 inch Delta Homecraft Band Saw was for curved and straight line cutting. Information, resources, photographs and more about Delta Woodworking Tools and Machinery. The Delta Unisaw has been a mainstay of woodworking shops for the past 60 years. The Band Saw Restoration page is a place for you to share your old band saw restoration tips and stories and upload photos. The Delta Jointer was the standard 6 Inch Jointers in shops of all types. The Vintage Delta Finishing Machine No. 31-700 with a 4 Belt & 12 Disc was capable of performing 90% to 95% of all you finishing operations. Information and resources about Craftsman Woodworking Tools and Machinery. Publication reprints of vintage woodworking machine manuals that may be downloaded in a PDF format. Craftsman tool manuals and catalogs that can be downloaded for free. Share a photo or information about woodworking tools and machines. Vintage Delta Tools: The Delta Mf. company made some of the most sought after and highest quality American made woodworking tools for many years. On this page you'll find photos, resources and information about some of those woodworking machines. Information, photos, and information about antique woodworking tools, tool collecting, Stanely tools and much more. Walker Turner Power Tools: Photos, Information and resources about Walker Turner Woodworking Tools and Machinery. Join the Woodworking Community for discussion, sharing, networking and more! Information and resources and photos of vintage Oliver Woodworking Machinery. Old Woodworking Tools Blog - Information and resources and the latest articles posted about old woodworking tools. Information and photos about the Delta 43-205 Heavy Duty Shaper. Includes model numbers, parts list, and machine manual. Information and photos of the Delta 1160 Table Saw. Includes description, parts list, recommened motors, and machine manual. 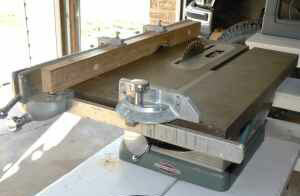 Information and photos about the Delta 1426 Disk Sander. This Delta woodworking machines was produced in 1939. Includes parts list, motor recommendations, and more. Share a photo of your vintage PowerMatic tools. Share a photo of your Jet Woodworking Tool Photos. Boice Crane Woodworking Tools: Photos, Information and resources about Boice Crane Woodworking Tools and Machinery. Information about table saws including the features found in bench, contractors, and cabinet saws, mobile and stationary saws. Also ncludes information and linked to vintage table saws as well as newer models. Information and resources about band saws. Information and resources for General Woodworking Tools, table saws, band saws, jointers, shapers, sanders, etc. Read or write a review of the Woodworking tools listed here. Woodworking-Supplies & Equipment including tools, hardware, supplies, woodworking plans and more. Information about wood lathes including a description of the features and considerations for purchasing one as well as links to a variety of vintage and modern wood lathes. Photos, information and resources about the woodworking jointer. The jointer can machine a face or edge of a board perfectly flat and straight. Information and resources about the Delta Table Saw. Photos, Information and resources about the radial arm saw. Photos, Information and resources about the scroll saw, a popular woodworking tool for cutting curves and irregular shaped pieces. Learn more about woodworking, tools, projects, supplies and more. Information and resources woodworking machine manufacturers. Information and resources about the drill press, one of the most versatile pieces of equipment in the shop. Belt and Disc Sander - Information, photos, and resources about abrasive tools for woodworking including the belt and disc sander. Wood Shaper - Photos, Information and resources about the wood shapers also known as the spindle shaper. Information, resources, and photos about woodworking hand planes, history of planes, types of planes, uses of planes. Information, photos, and resources about Stanley Hand Planes. Information, photos, and resources about Craftsman table saw parts. Share a photo of your collectable Stanley Planes. Share a photo of your vintage Craftsman drill press. Share a photo of your vintage Craftsman band saws. Share a photo of your vintage Craftsman Scroll saws. Share a photo of your vintage Craftsman table saws. 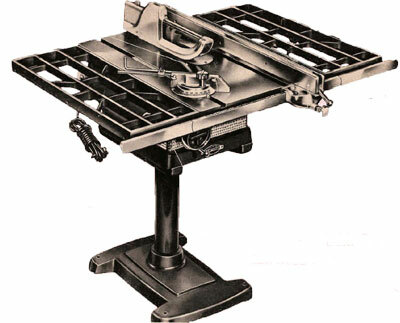 Information, resources, machine manuals, and photos of vintage Delta table saws. Information, resources, machine manuals, and photos of vintage Delta band saws. Information, resources, machine manuals, and photos of vintage Delta radial arm saws. Information, resources, machine manuals, and photos of vintage Delta Drill Presses. Information, resources, machine manuls and photos of vintage Delta table shapers. Information, resources, machine manulas and photos of vintage Delta lathes. Information, resources, machine manuals, and photos of vintage Delta jointers. Information, resources, machine manuals, and photos of vintage Delta scroll saws. Old Woodworking Tool Parts for Sale - See our store for parts from vintage Delta and Craftsman woodworking tools and much more. Information, photographs, and the history of Stanley Woodworking Tools. Photographs and information about Stanley Planes. Antique woodworking tools for sale. This site proudly build with Site Build It!